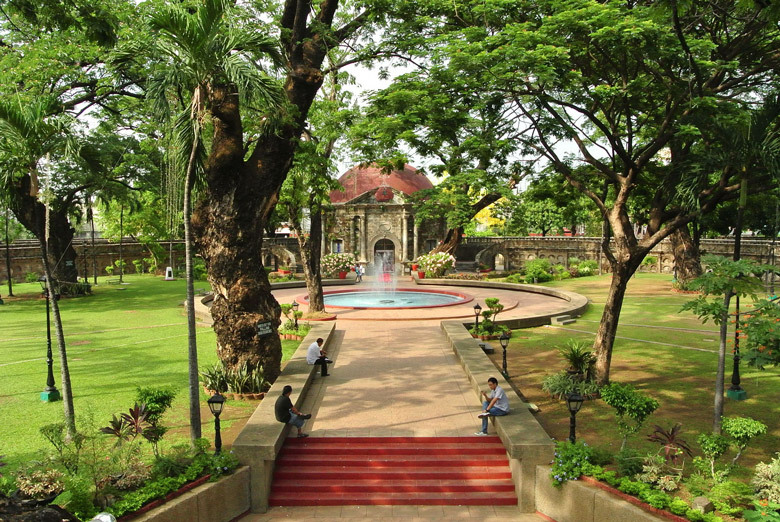 Paco Park is one of the most beautiful places to relax in the Philippines. It was declared a national park in 1966 and since then it has become increasingly popular with locals and visitors alike. Today the park is a very popular wedding venue. Ceremonies are conducted at St.Pancratius Chapel, which is also commonly known as Paco Park Chapel. It’s an attractive venue which has tall vintage gates; the perfect background for wedding photographs. The weddings are coordinated by Adamson University’s priests who also manage the park. During a wedding service is not the only time when people want to take photographs of Paco Park; it’s a picturesque place at any time. 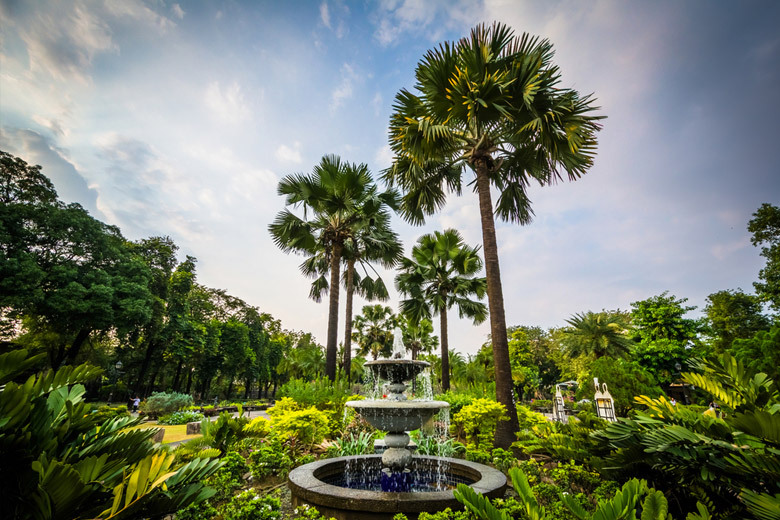 If you’re looking for things to do in Manila then you should certainly take your camera to Paco Park and capture some really eye catching images. 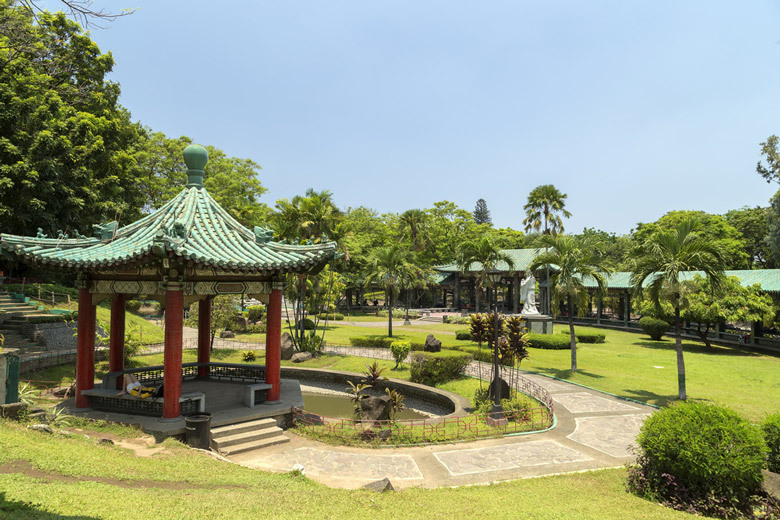 Paco Park is also the perfect environment in which to relax in Manila. It’s a leafy oasis in the urban buzz. You can just stroll around the park and mix with the local people. If you visit the park at the weekend you may even be able to take in one of the regular concerts that take place. Manila is located on Manila Bay which is a natural harbor and it’s from here that the Philippines has built many of its trade associations as the bay provides access to the port of Manila. For this reason the bay has played a vital role in the growth and success of the city over the years. The bay isn’t just of commercial importance to Manila though; it’s also a very popular area with tourists. The bayside has been upgraded to what is known as Baywalk; a great area for social activity. It’s a popular meeting place for both locals and visitors to the city and it’s also the perfect place to take a relaxing walk. Manila can seem busy and frantic at times and Manila Bay is a place to go to enjoy some space and watch the people pass you by. 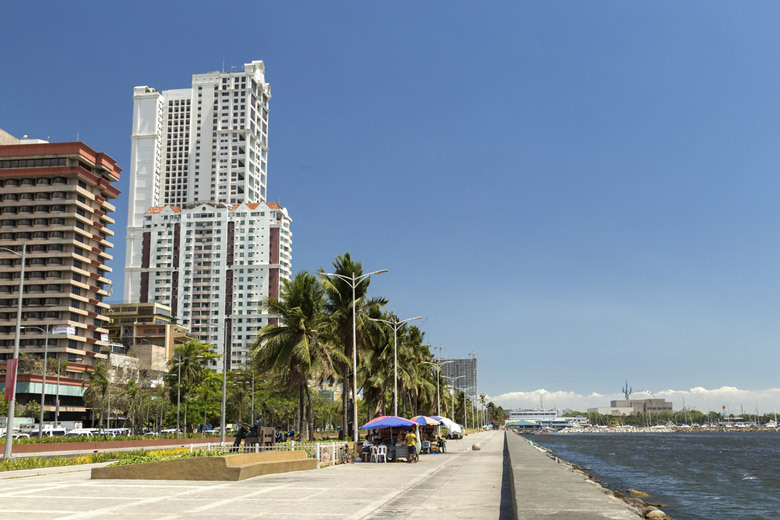 The most popular times to visit Manila Bay are early morning and evening. These are the times when you can enjoy the spectacular sunrise and sunset over the bay. Both are sights that you shouldn’t miss when you’re in Manila. Manila is a very different city today than it was during the time of Spanish colonial rule, but you can still see plenty of evidence of the colonial era in the city today. An excellent example of this is Casa Manila. If you’re wondering what to do in Manila then you should certainly make time to visit this unusual museum. The Casa Manila is located in Intramuros, the old walled town, and it perfectly depicts the colonial lifestyle. The impressive restored building is made from wood and stone, and the evocation of the colonial era doesn’t stop when you walk through the front door. The interior of this building is decorated and furnished exactly as the homes of the well-off would have been during colonial times. You get a fascinating insight into what life was like at the time and there is a museum which is dedicated to providing more information about that era in the history of the Philippines. If you want a souvenir of your time spent at Casa Manila there is also a small gift shop onsite. The National Museum of the Philippines is designed to educate and provide a place to study the history and culture of the country, as well as being a place for visitors to get a real sense of the Philippines and its people. This is the central museum of the country and it not only houses its own collections but also manages and develops other museums in the Philippines. Each year the museum leads the way when Museums and Galleries Month is commemorated, in October. 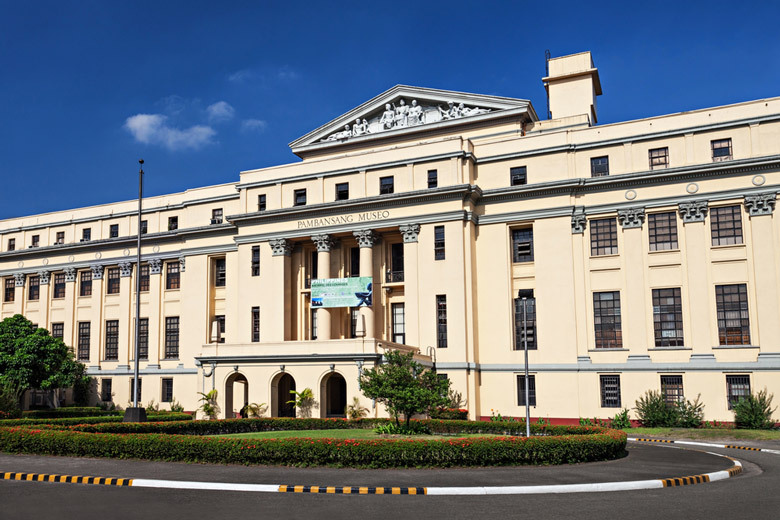 If you are searching for Manila attractions then you should certainly make time to visit the National Museum. It’s a place where you’ll learn about all of the cultural history that has gone into making Manila the city it is today, as well as being informed about the past of the Philippines as a country. The museum features several different types of exhibit that cover the areas of fine art, archaeology, ethnography and natural history. It’s an eclectic mix that covers all aspects of the history of the Philippines and its capital city. 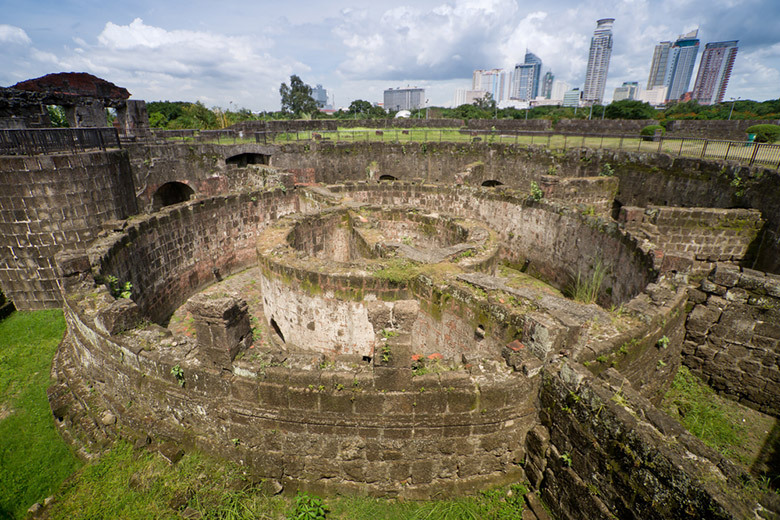 Intramuros is the original walled city and today it’s one of the top things to do in Manila. 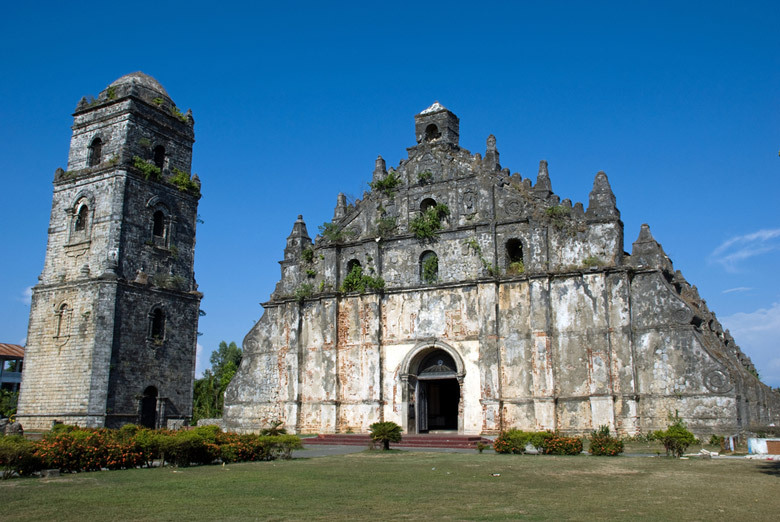 It provides an interesting view of what life was like when the Spanish first occupied the Philippines in the 16th century, and brought their architectural style with them. 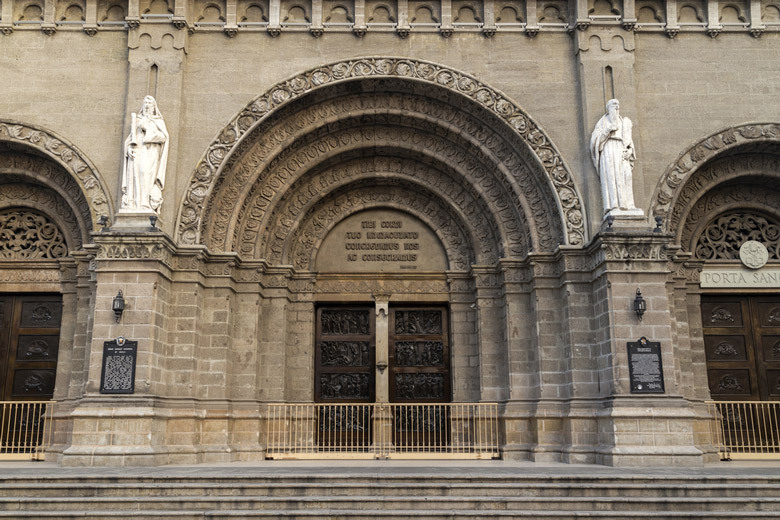 You can spend hours exploring this old part of the city which is located along the banks of the Pasig River and is home to impressive sights like Manila Cathedral. The name of the area comes from the Latin meaning “Within the walls”, and it reflects the fact that the structures of the area are contained within thick walls. Most of the structures in Intramuros are made from stone blocks and they are interspersed with trees and shrubs, making for a very pleasant environment. If you want to escape from the heat of Manila for a while you’ll find that sitting under one of the trees is an excellent way to do it. You can explore by yourself, on foot or by horse drawn carriage, but we’d recommend hiring a professional guide through your hotel, to make sure that you don’t miss anything. It’s a big area and if you’re visiting for the first time it’s easy to be overwhelmed by the amount of things there are to see. Situated in the Manila bay area of the city is the perfect place to do some serious shopping. 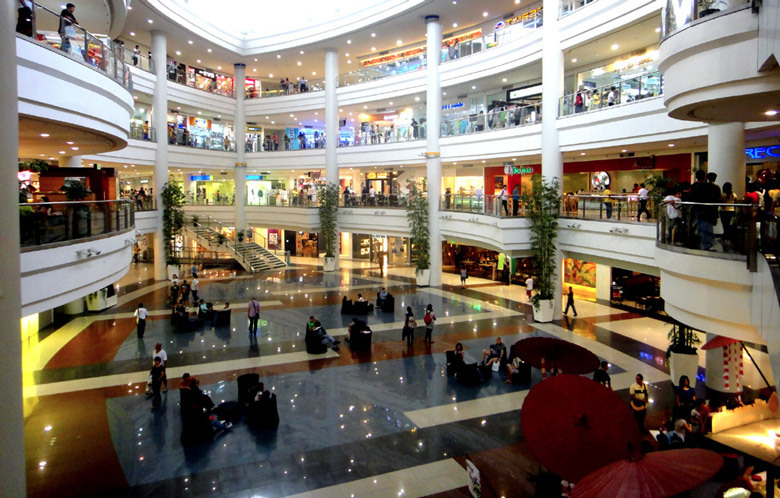 Robinsons Place Mall is just a short walk from Manila Bay and it represents shopping at its very best. This huge mall is situated across seven levels, and you can find an excellent shopping experience on each and every level. You can browse through merchandise at more than a thousand stores; some local retail outlets and some international brands. Robinsons Place Mall has been in existence since the 1980s but it has grown and evolved since then to accommodate changing tastes and styles, as well as a growing numbers of shoppers. The mall isn’t just a place for shopping either. You can take a break and seek refreshment in the food court, or you can take in a movie at the onsite theater. All of this is contained in an impressive environment, with picturesque fountains dominating the view. One of the best things about Robinsons Place Mall is its central location. Once you’ve finished shopping, you can easily just continue with a day of sightseeing at the many other attractions in Manila. The full title for Manila Cathedral is actually the Minor Basilica and Metropolitan Cathedral of the Immaculate Conception. The cathedral is dedicated to the Blessed Virgin Mary as Our Lady of the Immaculate Conception. 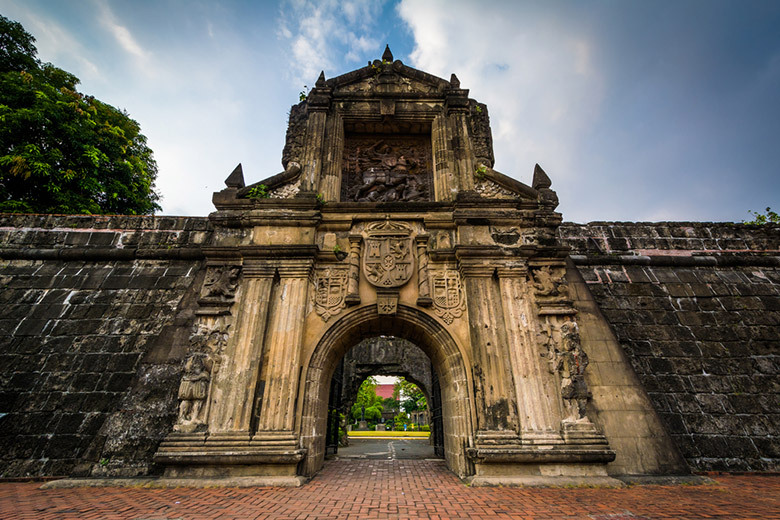 If you are looking for things to do in Manila then you should definitely head to the Intramuros district, the oldest part of the city, where the cathedral is just one of several sights to see. And it’s a very impressive sight too even though the cathedral you see today is very different from the original parish church that stood at the same site in the 16th century. The structure has been destroyed and rebuilt several times since then. The present building was completed in 1958 and is the eighth one to be built in the same position. Visit the cathedral today and you’ll have the benefit of the renovations which were completed between 2012 and 2014. They brought the audio, video and lighting systems of the cathedral right up to date during those renovations, providing an even great visitor experience. This is not just a place of worship it’s also a tourist attraction and has been updated to make it more visitor friendly. Rizal Park is well known as one of the best Manila attractions. This is a huge green oasis in the city where you can spend hours just hanging out with local people. And you will find a lot of local people here; especially on Sundays and bank holidays as this isn’t just a tourist attraction, it’s a place for everyone to hang out and enjoy some fun time. The park hasn’t always been the site of fun though; it was in this area in 1896 that the national hero José Rizal was executed. A monument containing his remains is still a focal point of the park that was named after him, to this day. The park was also the place where the Philippines declared its independence from the US in 1946. Visit the park today and there is no shortage of things to see. You can check out the Artworks in the Park by some celebrated artists from the Philippines. You can also take a walk around the Chinese Garden with its lagoon and pagodas. This is a beautiful place to spend some time and if you have children with you, Rizal Park is also home to a children’s playground where they can have fun and burn off some energy. 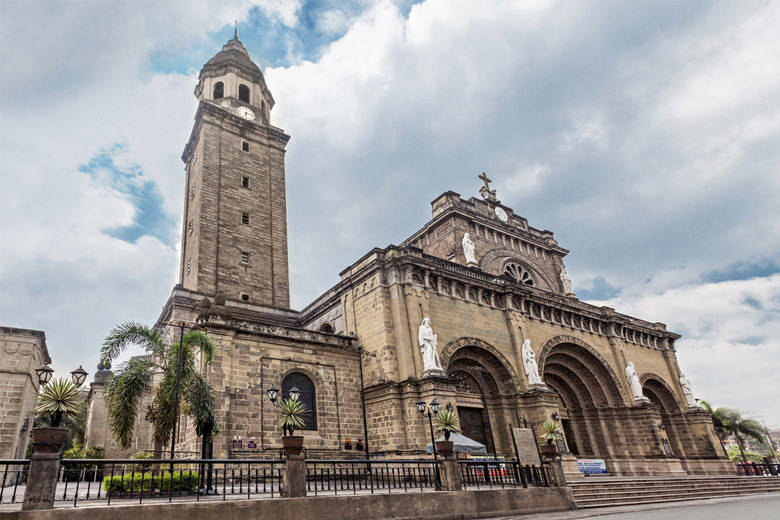 The San Agustin Church is both an active place of worship and a popular tourist attraction. 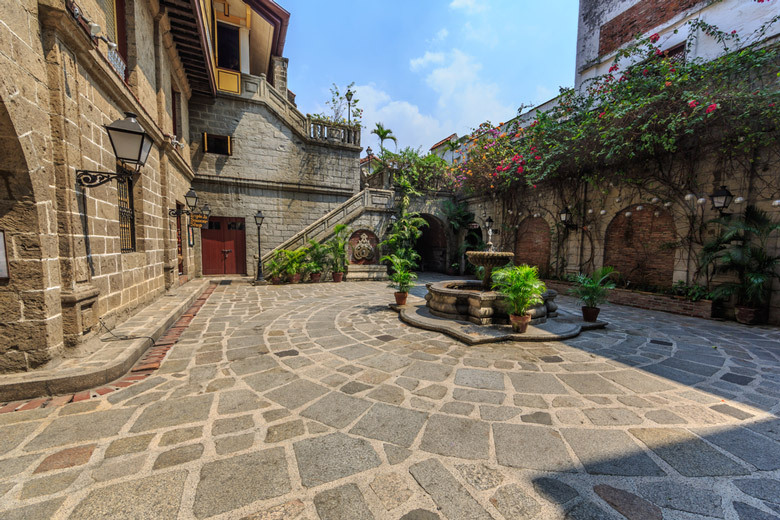 It’s located in the Intramuros district of Manila, which is the original old city. 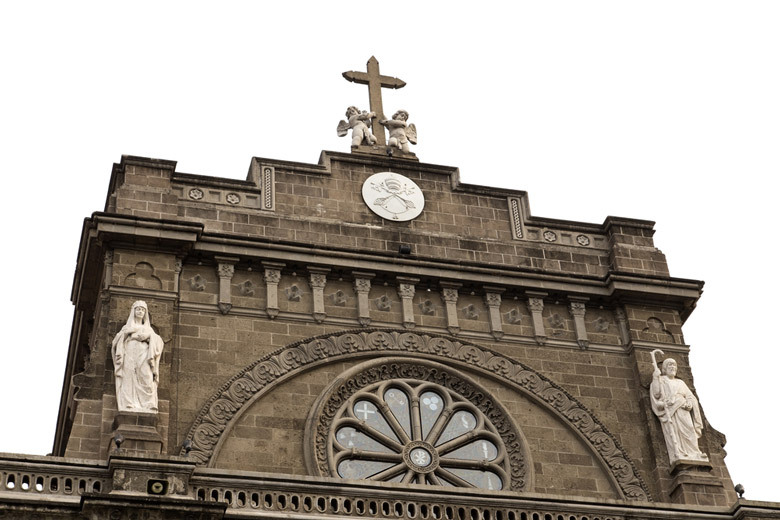 The church was the only building to survive intact during the destruction of the area in World War II, so it’s a special place that’s worthy of such a high entry on our list of things to do in Manila. It was built between 1587 and 1606 and has a massive exterior and an ornate interior. When you enter the church you can’t fail to be impressed by the incredible vaulted ceiling. You should also take a look at the eye popping colors in the garden outside. The church that stands on the site today is the third one to have been built and if you want to take a look inside free of charge then you need to attend a service. You can also access the church by first visiting the San Agustin Museum which houses many artifacts concerned with the history of the area and the church. It’s a good idea to visit both the church and the museum so you can get a good picture of what life has been like at San Agustin through the years. 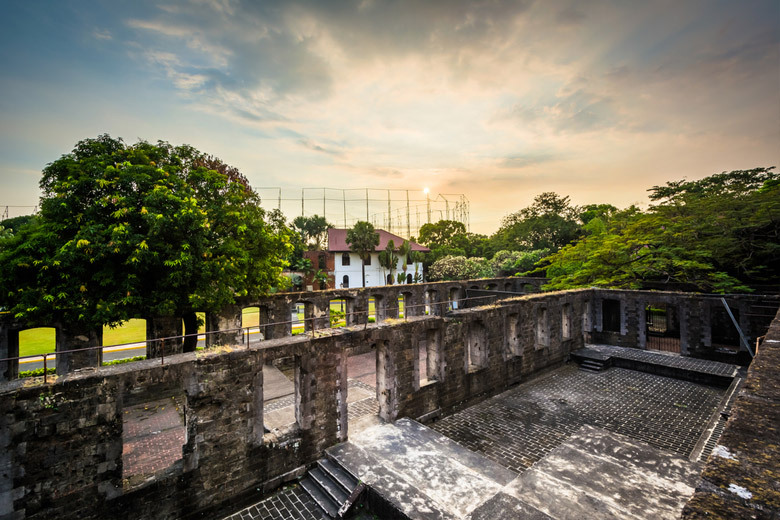 If you’re still wondering what to do in Manila then you really don’t want to miss Fort Santiago. It’s one of the most popular tourist attractions in Manila and is located in Intramuros; the old part of the city that we mentioned earlier in our top 10 things to do. The fort guards the entrance to the Pasig River, although today there is nothing for it to guard against. Now it’s a place where visitors go to catch of glimpse of Manila’s past. It was here, in what is now the Rizal Shrine, that national hero José Rizal was held prior to his execution in 1896. Visitors to the fort can see an impressive collection of Rizal related artifacts, as well as a recreation of the cell in which Rizal was held. It’s a fascinating insight into what was a very important time in the history of the Philippines. If you pay a visit to the fort you need to spend time outside as well. The grounds are beautiful, with their manicured gardens and impressive fountains. 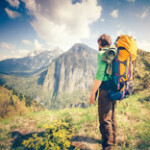 You can just enjoy a tranquil walk and take time to relax. Fort Santiago is the perfect combination of photo opportunity and learning opportunity.